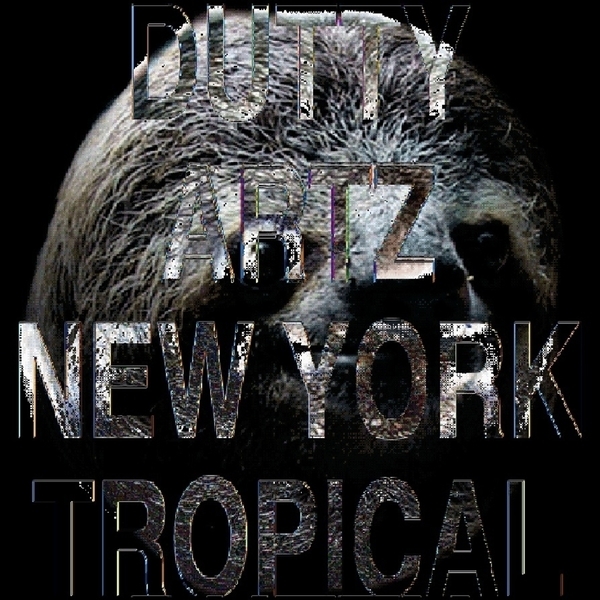 DJ/Rupture and Matt Shadetek's Dutty Artz imprint continue a heavyweight run of form this year with 'New York Tropical', gathering eleven new tracks from the likes of Rita Indiana (remixed by Kingdom! ), Lamin Fofana, Maga Bo, DJ Orien, Nguzunguzu, Chief Boima and more. It's essentially a brilliant overview of the label's aesthetic and the wealth of Tropical fusions occurring in the crucible of the Big Apple, covering the spectrum of international dancefloor rhythms Brooklyn style. Top of the pile is Kingdom's scorching rework of Caribbean megastar chanteuse Rita Indiana, cut with his usual blend of tranced-out R&B and big bwoy rhythms. Then there's La Ola Criminal, who take it uptempo Soca styles with 'Sin Gas'. Other highlights have gotta be the WTF fusions of Knight Magic's 'El Baile de la Cumbia', sounding like Bruce Haack meets El Hijo De la Cumbia. Or the Zomby-esque gallop of Nguzunguzu's 'El Bebe Ambiente'... but we gotta give it dues, the whole comp is just outstanding. Fans of Radioclit, the Shangaan Electro comp, or any of the Dutty Artz releases should consider this album a priority purchase.